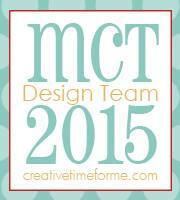 My Creative Time's 42nd Release! Fun Stitched Cloud Dies & the Sky is the Limit Set! 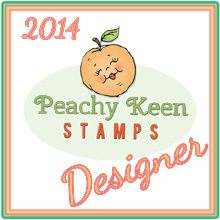 Love this stamp set with dies and so happy to have these full cloud dies. I used my Kuetake Gansai Tambi Watercolor set to create the background and on the diecut pieces. Tried to make it look like the air balloon was landing in a field, lol!! 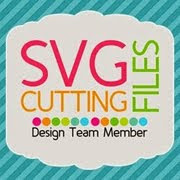 I also used the Stitched Rectangular Frame Dies & More die to cutout the background. I love your use of the clouds and the look of their stitching. Wow! This card is adorable! I love the way you made the hills and background clouds. They totally help make the cloud die and hot air balloon stand out. Beautiful scene! Fabulous coloring! Looks like a post card you can buy! A work of art! Love how you created your scene and it definitely looks like your Hot Air Balloon is landing. 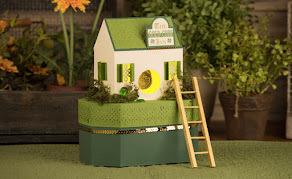 Great creative job and love how you've used the Sneak Peek #3 definitely and outstanding creative job. YOU ROCK!! I LOVE this!! Perfect scene you created!!! I just LOVE this Brigit! Beautiful card! The back ground on your card is awesome! Wow! So beautiful! Love your artistic water coloring skills! So pretty!! I love how you created your background! Perfect for that sweet hot air balloon! Love the scene you created for this balloon. So pretty, Brigit! I love the watercolor scene you created! Beautiful scene you created! You accomplished your goal because it does look like it's landing in a field. What wonderful scenery you created with this sweet card! You did a great job watercoloring! So pretty, LOVE the soft look! Your card is simply gorgeous in color. I love all the painting you did for the background and the clouds look wonderful inlaid. You created a beautiful scene. Great watercoloring. Love it! Oh my goodness, you made the best little scene for the balloon. Awesome job, Brigit. Love your watercolor background...great job on that! How fun are these new sets? I like how you did your clouds also. Beautiful job. Brigit ~ This is just STUNNING! Just LOVE how you colored everything with water colors ~ just BEAUTIFUL! Love,love,love your card Brigit. You did a fantastic job painting the field. Great inspiration. 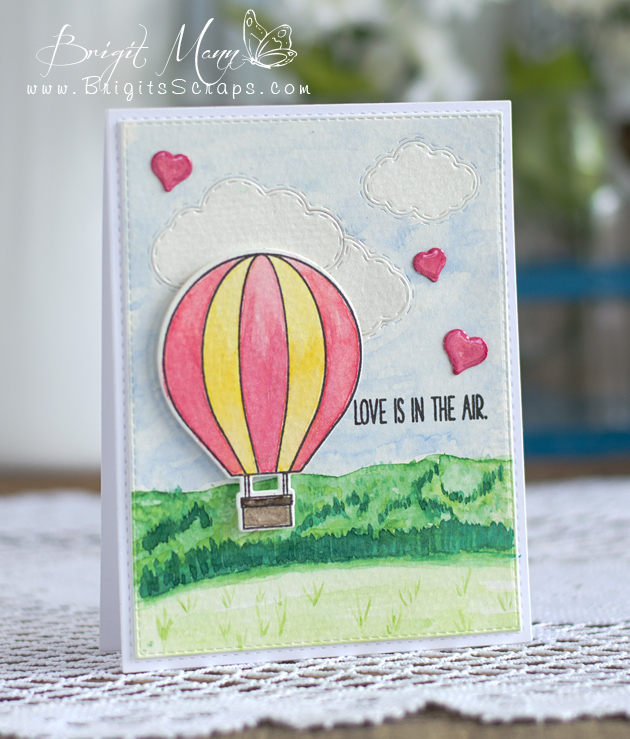 Beautiful card, love the background scene you created on this card to go along with the hot air balloon. Beautiful card! Love the pretty watercolor background to show off that awesome balloon! And the stitched cloud dies are so fun... gotta have 'em! You did an excellent job on the scenery for this card. The balloon is colored so nicely. This is so beautiful. I love your beautifully water colored background. Thank you for sharing. So beautiful!! You did a great job on your card. Such a pretty card! Amazing detail! awesome card, and you did such a beautiful job on the background. Fun card! I love the double stitched clouds! Wowed...love your grassy field! It's so perfect!! It looks like a scene in the countryside! Love the inner layer of the clouds!! !